Like explosives, firearms are used by terrorists to target people, buildings and other infrastructure and to generate fear and publicity. Cover from view: This can mitigate the threat by ensuring the attacker does not have a clear view of a target and hence is prevented from taking aimed shots. However it may not stop un-aimed fire which might hit a target by chance. It may be possible to provide Cover from View by planting belts of dense evergreen trees, building fences or providing blinds or curtains. Care should be taken to ensure lights do not silhouette building occupants at night. Cover from fire/ballistic protection: This provides protection from the threat by providing a barrier that has been designed to protect against a specific type of round. Firing points: A review of likely firing points should be conducted as part of the security plan. This may affect the extent of cover from view/cover from fire measures that are required and will also influence the planning of surveillance and patrolling measures. The type of firearm used by terrorists is most often influenced by their availability/accessibility. Similarly, an appropriate type and quantity of ammunition will be required for the firearm in order for an attack to be successful. The name of weapon it was originally designed for. The terms ‘round’ and ‘cartridge’ mean a self-contained item of ammunition, comprising of a cartridge case, primer, propellant and the bullet. Cartridge case: the case containing the bullet, propellant and primer and is normally made of brass (hand guns, rifles etc) or plastic/cardboard (shotguns). Primer (or percussion cap): is made from an impact sensitive explosive which is initiated when struck by the weapon’s firing pin. This in turn ignites the propellant. Propellant: Upon ignition the propellant burns rapidly, generating hot gases which exert pressure on the bullet/shot, propelling it through the weapon barrel. The bullet: The projectile. In most shotgun cartridges, this is replaced by a number of spherical projectiles called shot and will have an additional component called a wad to separate the shot from the propellant and provide a gas tight seal. 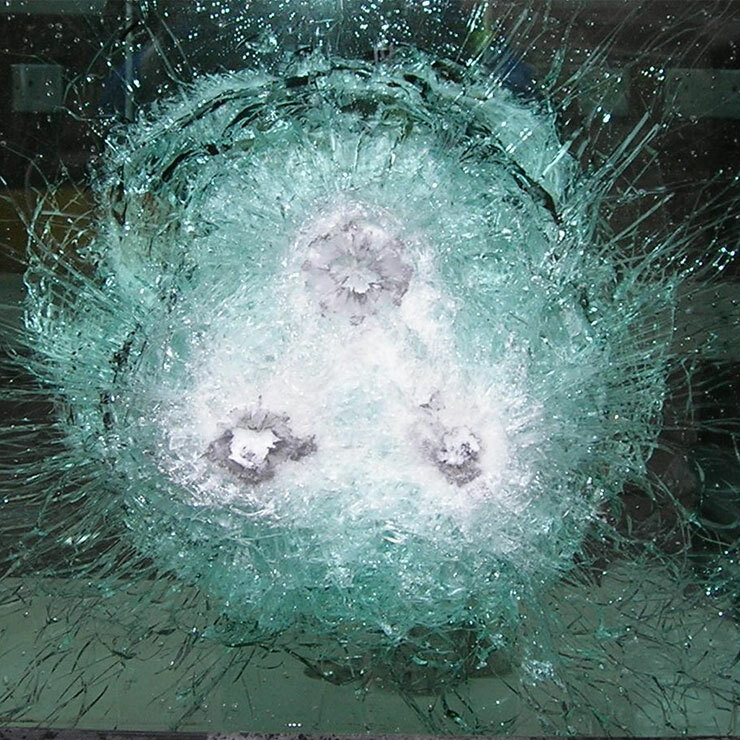 There are a variety of public standards covering ballistic protection, see ‘Protection Against Bullets’ for further guidance. Weapons may also be used by terrorists for breaching doors and walls and this topic is covered by CPNI’s forced entry guidance. Doors and walls specified to resist this type of attack may not provide ballistic protection unless both requirements are specified.